South Indian state Kerala has been put on high alert after eight people have died of a mysterious viral attack in Peramabra of Kozhikode district. On Sunday, the National Institute of Virology, Pune, confirmed the presence of Nipah virus in three samples that were already sent to the institute. According to WHO, Nipah virus (NiV) infection is a newly emerging zoonosis that causes severe disease in both animals and humans. NiV was first identified during an outbreak of disease that took place in Malaysia in 1998 and pigs were the immediate hosts. In 2004 in Bangladesh, humans became infected with NiV because of consuming date palm sap that had been contaminated by infected fruit bats. Below we discuss what causes Nipah virus, the symptoms and how can one prevent it. Nipah virus infection gets its name from the village in Malaysia where the person from whom the virus was first isolated succumbed to the disease. The organism which Nipah virus encephalitis is an RNA or ribonucleic acid virus of the family paramyxoviridae genus Henipavirus and is closely related to Hendra virus. It first appeared in domestic pigs and has been found among several species of domestic animals including dogs, cats, goats, horses and sheep. The natural host of the virus are fruit bats of Pteropodidae family, Pteropus genus. The infection is also known to affect human beings. Transmission of Nipah virus to humans may occur after direct contact with infected bats, infected pigs or from other NiV infected people. 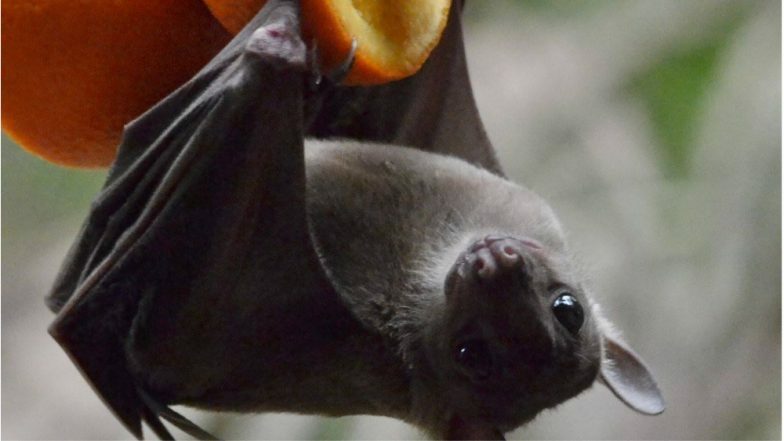 The virus is thought to be maintained in nature by ‘flying foxes’, type of a fruit bat, which show no signs of infection. People become infected through contact or oral ingestion of objects of materials contaminated by the urine, faeces or saliva from infected flying foxes. In Malaysia and Singapore, humans were apparently infected with the virus only through close contact with infected pigs. Person-to-person transmission in Bangladesh and India is regularly reported. This is most commonly seen in the family and caregivers of NiV infected patients. Humans infected with virus can vary from no symptoms of illness to death. Typically, the human infection presents as an encephalitic syndrome marked by fever, headache and muscle pain. This may be followed by neurological signs such as disorientation, dizziness, mental confusion, coma and potentially death. During the 1998 epidemic outbreak in Malaysia, 40-50% of the human cases resulted in death. Nipah virus in Bangladesh have been transmitted from person-to-person following very close contact with infected individuals. It is thought that the outbreak initially started when children ate fruit contaminated by the saliva and urine of fruit bats. According to Centers for Disease Control and Prevention (CDC), laboratory diagnosis of a patient with a clinical history of NiV can be made by using a combination of tests. Virus isolation attempts from throat and nasal swabs, cerebrospinal fluid, urine and blood should be performed in the early stages of disease. In fatal cases, immunohistochemistry on tissues collected during autopsy may be the only way to confirm a diagnosis. There is no specific treatment for Nipah virus and the primary treatment for human cases is limited to intensive supportive care. There is no vaccine for either humans or animals. For people, the best prevention measures include avoiding contact with animals which could be infected with Nipah. Avoid eating fruits that may have been contaminated with saliva or urine from fruit bats. Additional efforts focused on surveillance and awareness will help prevent future outbreaks. According to CDC, research is needed to better understand the ecology of bats and Nipah virus, investigating questions such as the seasonality of disease with reproductive cycles of bats. Raising awareness of transmission and symptoms is important in reinforcing standard infection control practices to avoid human-to-human infections in hospital settings.